Noah Sadler spent 2 years at Illinois State splitting time in the outfield and at first base. 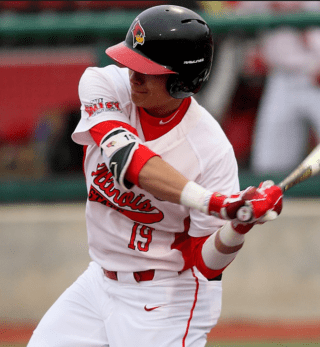 Originally from Mukwonago, Wisconsin, Noah graduated from ISU and lead the Redbirds to the Missouri Valley Conference tournament championship game in 2017. Prior to playing at ISU, Sadler played two years at Heartland Community College and helped the Hawks win back-to-back conference titles and regional runner-up finish as a sophomore. Noah went to high school at Mukwonago High School in Wisconsin where he was named All-Area & All-Conference as a senior. Sadler is passionate about hitting mechanics, OF/1B defense, and youth pitching.